As part of my proposed chronology for the crucifixion week (Wednesday, Thursday, Friday, Saturday, and Sunday), I need to address the references in the Gospels to the phrases “three days” and “on the third day” (Luke 24:7) that Christ used in referencing His resurrection. We might call these the Hard Scriptures. The Roman church, I believe, incorrectly interpreted these references in supporting the Friday, Saturday, Sunday chronology. Properly interpreted, these phrases are shown to fully support not only my adjusted chronology but also the “3 days and 3 nights” spoken of by Jesus in Matthew 12:40, as well as the chronology of the three women who visited the tomb, which I addressed in my Post Chronology of the Women. The following table summarizes the days and specific events during the week of the crucifixion of Jesus. The dates (9th, 10th, 11th, etc.) refer to the days of the Jewish month of Nisan (Abib) for AD 30, the year of the crucifixion. For the specific week and year of the crucifixion, the Pharisaic Passover was on Nisan 14 (per Leviticus 23:5); and First Fruits fell on Nisan 17 (the Sadducees’ First Fruits was always on a Sunday). Both Christianity and Judaism have traditions which have been passed down from generation to generation for hundreds – sometimes thousands – of years. Unfortunately, some of these traditions are simply not biblical and run counter to a credible chronology of the crucifixion week of Jesus. Exploring these traditions constitutes the eleventh and final puzzle piece in our quest to discover the true date of the death of Christ. Perhaps most unfortunate is when traditions prevent people from accepting the truth. Often, the only rationale for ignoring the truth is the simple reluctance to abandon traditions that have been around for so long that they have somehow come to be accepted as truth. Unfortunately, long-standing tradition does not necessarily equate to truth. What Can Astronomy Tell Us? As I did in attempting to determine the actual date of Jesus’ birth, I now consider the astronomical signs which existed during the Passion Week, the week of Jesus’ death. 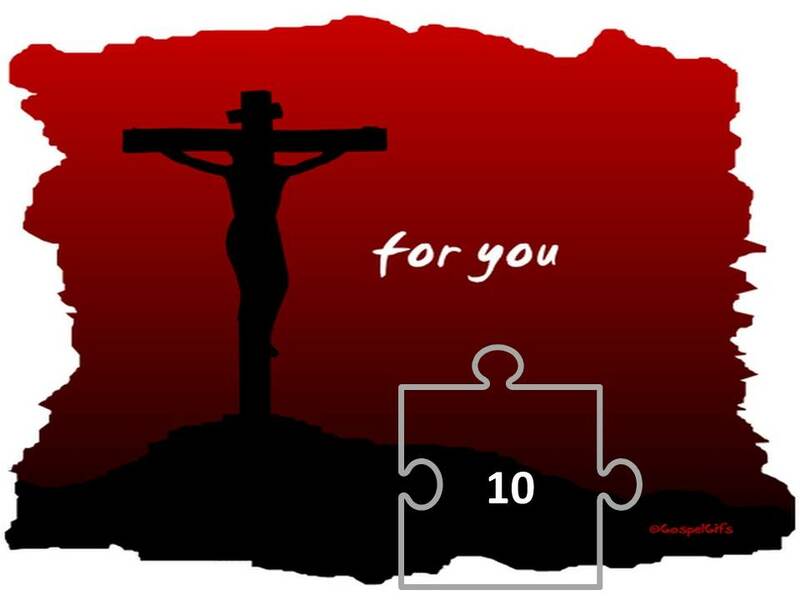 This consideration becomes the tenth puzzle piece in our quest to establish the actual date of Jesus’ death. I have stated in previous Posts that I agree with Messianic Rabbi Avi Ben Mordechai that Jesus was crucified late on Wednesday afternoon of the Mosaic/Sadducees’ Passover, Nisan 13/14, which was also the Pharisaic “Day of Preparation.” The crucifixion occurred during the period of time defined in Hebrew writings as “between the two evening times.” Additionally, I agree with Ben Mordechai that Jesus was most likely crucified in AD 30; I make this case later in my upcoming Post entitled Year and Death of Resurrection. So how do we use astronomical software to align this Wednesday date of Nisan 13 in AD 30 with the crucifixion? Ancient Jewish tradition allowed people to visit a burial site during the three days after entombment for the purpose of ensuring that the person was truly dead. I will examine this tradition as the ninth puzzle piece in our quest to establish the date of Jesus’ death, burial, and resurrection. The women who witnessed Christ’s burial and subsequently visited the tomb would have followed Jewish tradition. However, they were prevented from visiting the tomb following burial because Saturday was a High Holy Day Sabbath (the first day of the Feast of Unleavened Bread, beginning at sundown of Nisan 15/16). Accordingly, they arrived at the tomb early in the morning of the fourth day, on Sunday, Nisan 17. “Now on the next day [Friday], which is the one after the preparation [Nisan 15], the chief priests and the Pharisees gathered together with Pilate . . .” (Matthew 27:62).